Long before Jack Palance joined Kurt Russell and Sylvester Stallone in the 1989 action hit, Tango and Cash, that saw the two muscle bound heroes walk away from the camera buck naked exposing their backsides to the movie going world, Jack did it first with arrogance and pride in this Sergio Corbucci directed western. 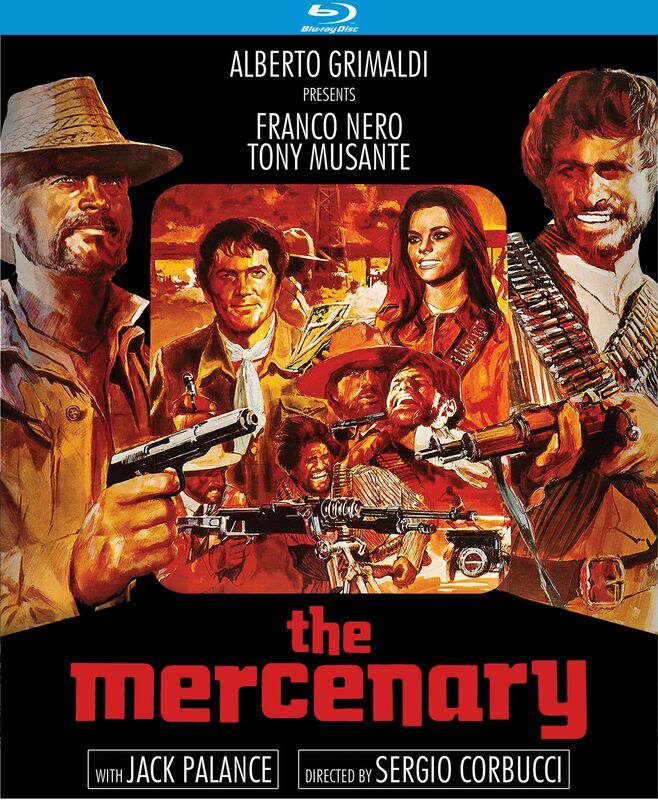 One that also stars Franco Nero and Tony Musante at odds with Jack amidst the Mexican revolution that made for a great backdrop in countless westerns produced in both America and Italy/Spain. With a score from Ennio Morricone, this story is told in flashback by Nero as he watches rodeo clowns entertaining a crowd from the center of a bullring. Nero’s narration takes us to Musante working hard labor in a prison quarry. With tongue in cheek, Musante will make a timely escape before certain death at the hooves of thundering horses. Nero himself is brought into the story in a gambling house where Palance runs a crooked game. Nero proves to be a bit faster on the draw than one of Jack’s thugs who he has exposed as a cheat at the dice table. Palance isn’t impressed and the two are solidified in the plot as enemies. At least as far as the outrageously curly haired Jack is concerned. Appropriately, Jack’s character is named Curly. Hey, didn’t Jack win an Oscar for playing Curly? Nero is far from an upright outstanding western hero. 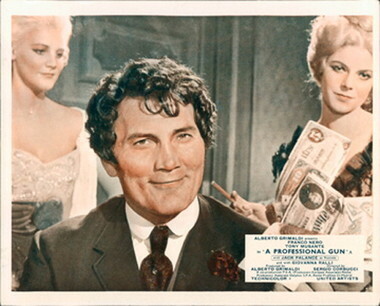 He hires out to the highest bidder and finds himself enlisted to move a shipment of silver that goes bad. Palance is on his tail after killing the two that hire Nero and Nero himself runs into the outlaw/revolutionist Musante. It’s a union that will see Nero hire himself out to Musante and teach him in the ways of machine guns and military planning. Let the revolution begin as Musante and his men begin raiding trains and towns where Federal troops are stationed. When Palance is left brooding and naked in the desert after a violent encounter with Nero and Musante, he’ll find an ally in the officer who was at one point in charge of the prison that Musante had escaped from. They both have a score to settle and at the head of an army plot their vengeance. Into the story will come Giovanni Ralli as a peasant woman who enlists with Musante’s ragtag army but also serves as his conscience. At first he appears as nothing more than just another bandit making off with whatever riches he can rob and steal under the guise of the revolution. She refuses to keep quiet and challenges him for what he really is. His conscience gets to him and Musante’s bandit begins to think of a grander Mexico. One that offers Nero little interest as he’s still just a gun for hire. In explosive on screen fashion, Palance and company are going to catch up to Musante and Nero at a time when the two have had a falling out over Nero’s greed. Machine gun fire sprays acros the screen and bodies are strewn about by the time the smoke clears leading to somewhat of an epilogue when Nero brings the story back into the present. In the bullring where Palance will resurface. That’s all you get from me. Like many of the Italian westerns that I’ve seen, this one has that sense of humor that I don’t always find ingratiating to yours truly. On the plus side, The Mercenary isn’t a low budget “B” effort of it’s type. It’s not The Good/Bad/Ugly in scope but it is ambitious and overall quite enjoyable. 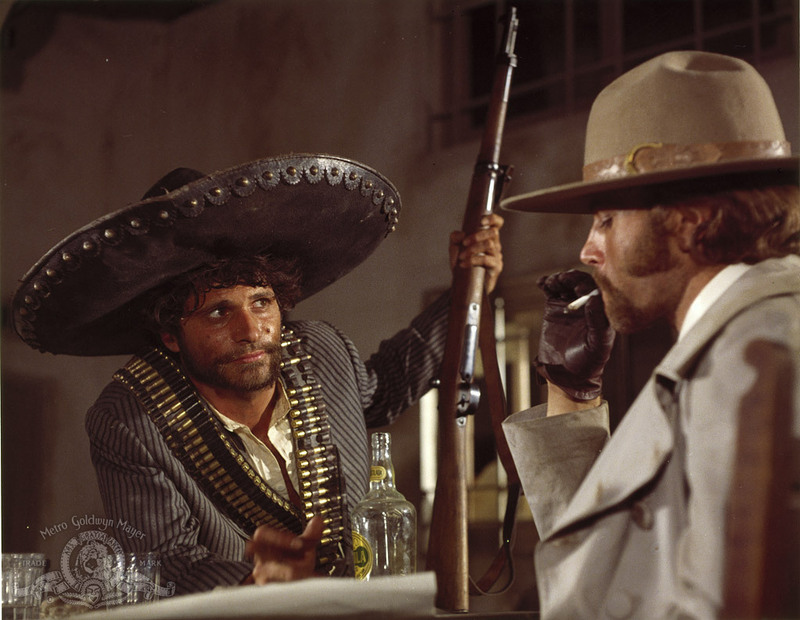 Corbucci paints that familiar picture that life south of the border is cheap and dangerously short. So called revolutionaries are commonly put up against a wall and executed. Not a place and time I’d have cared to live if given the chance. Nero is fine as the stoic title character. He’s not exactly heroic though we know deep down he’d rather hire out to those who he believes are fighting for a righteous cause. Musante is Nero’s uneducated clown general for much of the film complimenting the screen’s original Django quite nicely. Then there’s Jack and yes I’m a big fan. What’s nice about this performance from Palance is while he’s hamming it up, he’s actually underplaying it to great effect. I love that squeamish look about him when ordering a killing and quickly adding a silent prayer as he bows his head down. Not a spaghetti fan? Then see it for Jack alone if given the chance. Nero, Palance and Corbucci would do it all over again in another enjoyable western. The 1970 release, Companeros. The new blu ray from Kino Lorber is a welcome release with an added bonus feature of the many posters and lobby cards world wide that accompanied the film during it’s original release run. The trailer is included and a running commentary from historian/director Alex Cox. 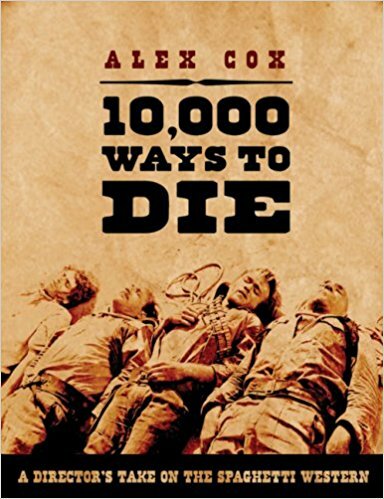 I keep a great source book from Cox on my easy to reach bookshelf here at my desk titled, 10,000 Ways to Die: A Director’s Take on the Spaghetti Western should you want something handy in times of need. One of those posters featured in the bonus gallery is indeed part of my own personal collection that I picked up not all that long ago. That makes both the poster and the movie new acquisitions that have found a home here in the vault at Mike’s Take. I get a kick out of these spaghetti Westerns…I have a 12-movie collection I need to dig deeper into, which is called, strangely enough, ‘10,000 Ways to Die’. I’ve seen that set. There really hit and miss and I think a lot of that has to do with the humor that I don’t believe translates well. Stick to the main directors of note and they can be rewarding. I’ve got the Eastwood/Leone series, and yes, those are cool. Good/Bad/Ugly and Once Upon a Time in the West are required viewing and easily in the top ten westerns of all time if I’m voting. Oh yeah, I own ‘Once Upon a Time’ as well…and again, it’s still waiting to be viewed! Perhaps in…2019. What no cap? 🙂 Great poster and top tagline too. OOo very interested in that Alex Cox Spaghetti Western book. lol. The book a handy one and really nice artwork on that one sheet proving they just don’t make movie posters like they used to.